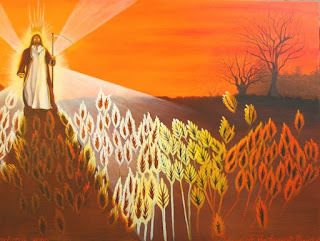 He answered, “The one who sowed the good seed is the Son of Man. The field is the world, and the good seed stands for the people of the kingdom. The weeds are the people of the evil one and the enemy who sows them is the devil. The harvest is the end of the age, and the harvesters are angels.